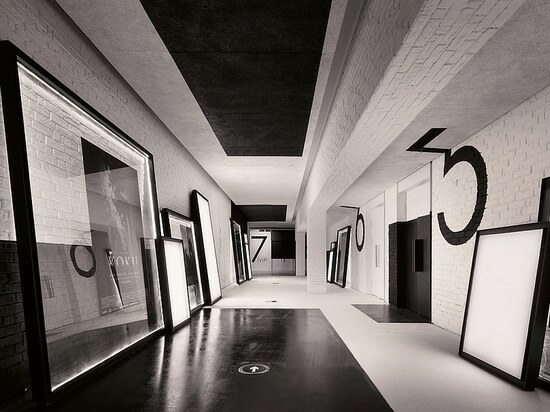 The interior design of this cinema was inspired by the structure of an art gallery. Posters of old films are displayed in simple frames. The frames showing new film posters are illuminated to indicate which films are currently showing. The brick wall in the lobby is painted in black and white to give it texture and create a sense of nostalgia. Walls and pillars are decorated with large black squares to great dynamic effect. The theme recurs in the auditorium where custom-made carpets show a grid pattern. 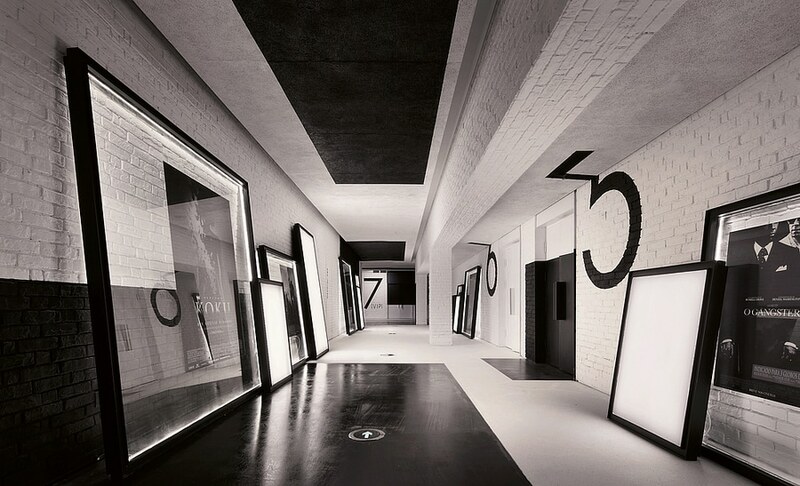 The relaxed, informal interior design of this cinema mimics the style of an art gallery and conjures up a hint of nostalgia with its black-and-white concept.